Navigating the rough terrain of today’s publishing industry shouldn’t be a solo event. This week in Ask the Agent, I’ll explore and dissect one of the biggest of the industry’s mysteries, straight from the shoulder. This week I was asked several times, "When should I query agents with my manuscript?" "Does my manuscript have to be complete when I query or are a few sample chapters fine?" Next ASK THE AGENT I am going to spend some time talking about nonfiction proposals. Nonfiction is one of the only instances that you can query an incomplete manuscript. 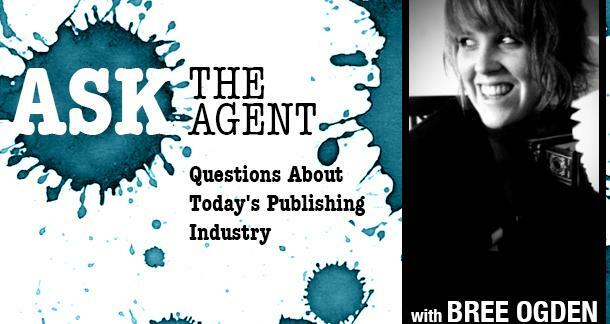 So if you write nonfiction, stay tuned to the next ASK THE AGENT. Because I've been asked the "manuscript completion" question so often I thought I'd do a "best of" my posts on this subject. With special guests! I'm responding to your article "Ask The Agent" with a question I've puzzled about for a long [time]. When in [the] life of your manuscript should you contact a literary agent or publisher? Should you wait until you have a completed manuscript or send in a few sample chapters first to test the waters? "What do I do after I complete my manuscript? Do I send it to agents and they edit it before it goes to publishers? Have a question about the publishing industry? I would love to discuss the specifics of researching and querying agents, finding the right agent, proper publishing etiquette, how to go from idea to completed manuscript, marketing yourself, social media for writers, and anything else you can think of! I am now taking questions for Issue 21 of Ask the Agent. Issue 21 answers will be posted Monday, April 15th. I'm not sure if Aaron meant it the way I read it, but it sounds to me like a question I still haven't had answered: what, besides sending out your manuscript, do agents do? I've heard from some people saying that they edit or suggest revisions, and of course, the revise and resubmit exists. Others, though, say that literally all that their agent does is send their manuscript to publishers. @Courtney, I don't have an answer to your question because I actually have the same question. I am 80% complete with a non-fiction work and trying to understand what an agent would bring to the table as opposed to direct submission. Given that the helpful columns on this website seem to instruct that a manuscript MUST be complete before you do a query, I am doubling down on the question. Let's try and answer this question ourselves, shall we? 1) If an agent wants a complete manuscript AND they will then suggest revisions, then that could be of value. (but that is not why I've been reading. But, it may be a secret to make people query with complete work). 2) An agent should know what publishers will want to publish your work. That may help, but doesn't all one have to do is scan titles in the genre you are writing about and see who published those works? 3) If a publisher is overwhelmed with submissions, a well reputed agent known to the publisher will likely have submissions in their name placed at the top of the heap. That of course may LIMIT the number of houses that may be open to publishing your manuscript, but still, this seems like maybe the best reason to hire an agent. 4) An agent will get you more money. I don't know, will they?